It’s 3pm on Friday afternoon (aka POETS Day. Ed 🙂 ) and the lab is in the capable hands of Jim, Stefan & your ‘umble scribe. Jim & Stefan, both freshly supplied with a hot drink are busy working away on machines for our refurbishment project, whilst yours truly is catching up on paperwork, but that’s boring as hell to discuss: what are the other 2 lads doing instead? 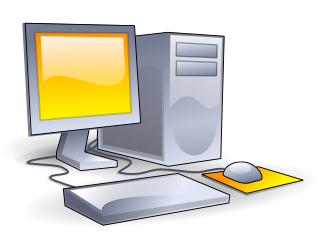 The PCs on which they’re currently working have been kindly donated by our friends at Easton Community Centre (thanks Liz! 😀 ). All donated machines are given a thorough hardware health check of drives, cables, power supplies, etc. : any broken parts are replaced and if they’re a tad short of memory, we like to give the latter a boost so they run lightly and speedily. Occasionally, a donor asks that the hard drives of their old kit be wiped and it’s at this stage that it’s done with DBAN, a self-contained boot disk that securely wipes the hard disks, automatically and completely deleting the contents of any hard disk that it can detect to standards approved by the US military – and it’s open source too! Wiping can take quite a while, e.g. a 200 GB SATA hard drive takes about 9 hours to wipe (sounds like a job to run overnight. Ed.). Only after that can an operating system be installed. At present we’re using Ubuntu 9.10. After the basic install is done, we then have to update the installation, add all the bits that make it useful to your typical user – stuff like audio and video codecs, a Flash player, additional fonts and the final touch: Bristol Wireless desktop wallpaper (far better than Ubuntu brown. Ed.). They’re then ready for sale, apart from the final update before they leave clutched in the arms of their new owners. At Bristol Wireless we’ve found that most redundant computer hardware being junked by organisations is quite capable of running up-to date Linux systems and its life can be extended, giving it a new lease of being useful to someone. Indeed, your correspondent’s own laptop is now getting close to 7 years old and is still running the most modern version of its distribution, despite being more than twice the age of most commercial hardware replacement cycles and quite incapable in terms of system requirements for closed source proprietary operating systems.